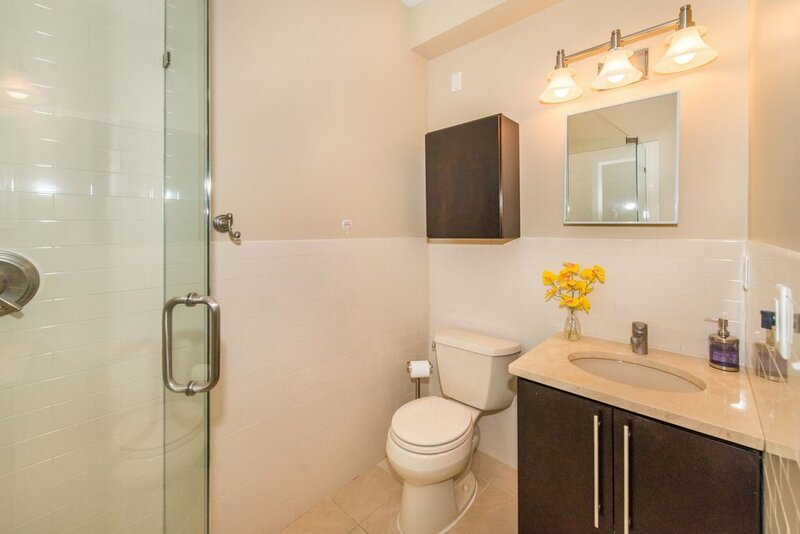 This is a spacious, well-maintained 2 bed, 2 full bath unit. Featuring an open, modern kitchen with granite countertops, and expansive living room and dining area which seperates the bedrooms. Convenient to the PATH, Light Rail, shops and more.